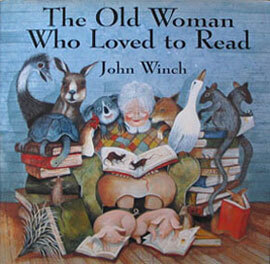 There once was an old woman who loced to read. She loved it so much that she moved from the noisy city to the country, where it would be quiet and peaceful. There she would be able to read all the time - or so she thought! But the old woman soon discovers that country life is far from peaceful. Now she's busier than ever. She has to take care of her animals, repair the barn, and plough the fields. Yet her work doesn't end there. She also has to shear the sheep, harvest the crops, and make preserves. There's not one moment when she isn't working. Until deepest winter, when she finally has time to sit down, pull out a book, and fall right asleep!